Greetings to you from Sand Pebbles Tour N Travels – the effervescent tour operator Odisha which touches the souls of scores of customers with magnetic packages and ancillary services. Sand Pebbles Tour N Travels was incepted in 1993 at Bhubaneswar – the elegant capital city acclaimed as the cultural tourism haven and an excitingly progressive destination in Odisha. Sand Pebbles Tour N Travels offices are located in serene environs and possess a cozy ambience. The company, over the years has set the ball rolling as a premier travel and tour company by dishing out spectacular package tours with awe–inspiring itineraries configuring Puri Special Tours, North East Tours, Boat Cruises, Weekend Getaways, Bhubaneswar Special Tours, Discover Mini Amazon – Bhitarkanika, Odisha Spiritual Tour, Chilika with Odisha Golden Triangle, RathaYatra Special Package, Buddhist India Gateway to Odisha, Enchanting Beaches of Odisha, Exclusive Odisha Tribal Tour, Sanctuaries of Odisha…. to mention a few. There are both pre-designed tour packages as well as customized tour packages spanning several wide-ranging combinations to delight the customers namely Odisha Tribal Tours with Temples, Buddhist Trail Odisha with Bhubaneswar – Puri – Konark – and much much more….. Sand Pebbles tour rings in an array of ancillary services. 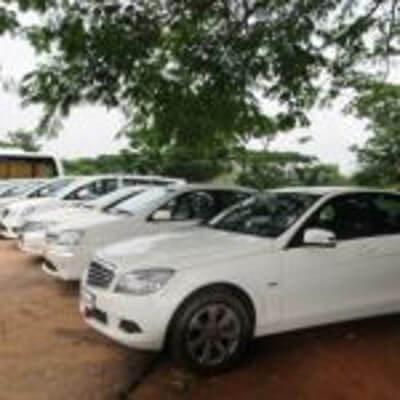 The company has carved a niche image in the realm of Car Rental Services and is equipped with an alluring fleet of most modern cars and coaches. Sand Pebbles tour leaves no stone unturned to offer its customers utmost delight and stocks its quiver with all that is current in tourism industry. The company has extended its presence setting-up branches in Puri, Gopalpur, Bhitarkanika, Delhi and Kolkata in its prodigious effort to reach out to more customers. Sand Pebbles Tour N Travels is recognized by Ministry of Tourism, Govt. of India as an entity empowered to provide quality tour services to the tourists. It is also accredited by IATA. The company is a member of esteemed organizations such as IATO, UFTAA , ITTA, ADTOI, TAAI, ATOAI, FHRAI and TAAO. Sand Pebbles, a pioneer of tour operator Odisha is committed to deliver unique and supreme tour related services to its customers, in consonance with the changing paradigms of the tourism industry. The lofty tour and hospitality arrangements carried out meticulously by the adroit and professional team of Sand Pebbles tour have turned out to be of enduring value, time and again catapulting the image of the firm. In the sphere of product development and promotion, the company has gone miles entrenched with a strategic competitive advantage. The highly experienced team envisages, crafts, and puts into the functional mode; diverse tourism products and activities which enthrall the customers. These comprise eco, cultural, spiritual, leisure, wildlife, and MICE, thus catering to the tastes and aspirations of different clientele. Over the years, Sand Pebbles tour has established its predominant presence as a top-notch tour operator Odisha and Car Rental Service provider. Owing to its on-dot, prompt, and well-organized Car and Coach Services at the beck of a call – Sand Pebbles tour over a period of time has emerged as a household name and became endearing to hordes of people in Odisha. The renowned fleet of the company is dotted with more than 60 air conditioned luxurious vehicles which include Mercedes Benz, Skoda Superb, Honda Civic, Toyota Corolla, Honda City, Toyota Innova, Tata Indigo, Mahindra Logan, Mahindra Scorpio, Mahindra Bolero, Tata Indica, Tempo Traveller, Mini-Vans and Coaches. At the steering are well-experienced and hospitable chauffeurs donning the company uniforms. The company religiously takes feedback from customers on the performance of the drivers and also constantly briefs them on the codes of conduct. The drivers are provided cell phones and constantly maintain contact with the managers. Sand Pebbles tour customer-friendly initiatives comprise provision of mineral water bottle, English newspaper, icebox, tissue paper, first aid box and umbrella in all its vehicles. All the vehicles are fitted with seat belts and other safety gadgets and accessories. The Car and Coach Rental services are provided 24X7. In sync with the profuse demand for off-the-beaten-track experiential holidays away from the monotony and drudgery associated with the hustle and bustle of urban life, Sand Pebbles tour has established a phenomenal property in Bhitarkanika National Park. This ecologically mind-boggling supplementary accommodation has been christened ‘Jungle Resort’. Bhitarkanika is an exotic habitat of Mangrove forests laced with fabulous creeks and mud flats, located in the Kendrapara district of Odisha. One of the largest flourishing mangrove ecosystems in India, Bhitarkanika is home to diverse flora and fauna. Sand Pebbles Jungle Resort has been structured to instill in the tourists the feeling of oneness with nature. This resort has evolved to be a ‘must stay spot’ in the itinerary of honeymooners. Sand Pebbles tour has made an indelible mark as a corporate business travel agent. MICE business in the company is heralded as the ‘ace of future’. Sand Pebbles tour brings business and leisure much closer. Odisha is a truly aspirational and appealing MICE destination and to tap the enthusiastic MICE market, Sand Pebbles tour has prepared manifold plans. Excellent networking potential enables Sand Pebbles tour to provide or block hotel rooms, dish out mind-blowing itineraries, and facilitate entertainment and leisure for the guests. The genuine services of Sand Pebbles tour are bound to attract frequent event business. Sand Pebbles Events ‘n’ Entertainment Group, a unit of Sand Pebbles Tour ‘n’ Travels is recognized by India Tourism, Govt. of India and Department of Tourism, Govt. of Odisha. This wing is based at the capital city of Odisha – Bhubaneswar. Event management is teeming as an ancillary tourism operation. There is an upswing in events’ business in Odisha. Sand Pebbles tour is proud to be partner the gala success of event management business in the State. Sand Pebbles tour is poised to tower greater heights with its zealous and creative professional team bubbling with pro-active fervor. The prime goal of the company is to provide exceptional services to its esteemed clients by focusing on value-based, customer-oriented initiatives. Sand Pebbles tour publishes highly informative and comprehensive brochures and other promotional literature that appears quite stunning. The special interest packages of Sand Pebbles tour spruce up the ethnic quotient in Odisha. It endorses the tribal tourism charms and the opportunities galore for the tourists to have intimate rendezvous with the uniquely indigenous cultural identity upheld by the tribals of Odisha. The tribal tour packages of the company unveil the special flavors of the indigenous people of the state; their invigorating rituals and customs. Tourists are provided ample avenues to witness their colourful festivals that celebrate unique lifestyle practices entailing the preservation of distinct heritage. Odisha dots a significant spot in the ethnographic map of India for having the largest variety of tribal communities. Majority of tribals are found in the districts of Koraput, Rayagada, Naurangpur, Malkangiri, Kalahandi, Kandhamal, Baudh, Keonjhar, Sundargarh and Mayurbhanj. Sand Pebbles Tribal Tours encompasses all these places and capture the aesthetic sensibilities and scintillating expressions of the indigenous communities. For the culturally motivated tourists, Sand Pebbles tour provides upbeat packages. All the festivities configure in the classic itineraries of the company. Tourists get a lifetime opportunity to throng the cultural hotspots of Odisha during festive seasons. The glory and ecstasy of the biggest cultural festivals such as the Puri International Beach Festival, and the Konark Festival engender chances for tourists to relive the regal splendors. Odisha has many an unsung rural tourism destinations. Apart from the serene beauty of these pristine tourism destinations, what entice tourists are the historicity, cultural expressions, religious symbols, and archaeological significance. The latent scope of rural tourism in Odisha is unraveled by special packages of Sand Pebbles tour. The company accords due importance to the development of indigenous cultural products in the rural destinations such as Raghurajpur. It instills in tourists a feeling of affinity towards the indigenous lifestyle of rural communities and paves the way for their upliftment. Tourists seek more ‘intimate’ and ‘authentic’ contact with the indigenous people of Odisha. The packages of Sand Pebbles tour are designed configuring Odisha and the neighbouring States like Jharkhand, Madhya Pradesh, and Chhattisgarh encompassing the village panorama in these States showing scintillating views such as paddy fields, gardens, captivating scenery of hill ranges, variety of home and migratory birds, festivals, pageants…. and the list is exhaustive.